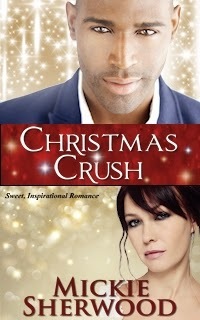 My new Christmas romance released today! Enjoy reading this excerpt. Then, go to Mickie's Mutterings to read the entire first chapter. Leave me a comment. Will Ashley spend Christmas brooding over bitter memories? Or will Craig, a dynamic paraplegic, present the deserving divorcée with a gift she can't resist? “There are two ladies here to see you.” The female voice on the phone advised. Those words commandeered his attention. “This morning?” He slapped down the cuff of both sleeves. “I’m on my way.” Quickly, he buttoned them, pushed back from the desk, then rushed from the office. His door shut with a bang. Craig took the hallway to the elevators, almost running down a co-worker when he turned the corner. “Sorry,” was all he had time to say as he continued on his way. The elevator seemed to take a long time to arrive. Finally, the doors opened, and he dashed to board. Memories flooded back to him on the ride down. Craig remembered how he recognized the woman was in trouble. Her luminous eyes held a faraway look. Nevertheless, in no way did that obscure their charismatic beauty. He reminisced about the cottony soft skin of the hand he held. Abruptly, he was a bundle of nerves. Big, strong, athletic sportsman, Craig Johnston experienced something he hadn’t in years—immediate infatuation—for a stranger, no less. Chances of a slow reveal past as the security officer beckoned in his direction. The two pivoted together. Their resemblance was so remarkable. Although one appeared slightly older, he surmised a familial relationship. The younger one failed in her attempt to hide what he assumed was pity and alarm. His wheelchair probably caused her reaction. The woman he rescued never batted an eye of surprise. To his amazement, he watched her stroll over. A majestic smile curved her luscious-looking lips. At that point, Ashley’s action mystified him. Craig watched her close her eyes. But, she never removed her hands from his fingers. “Ask me that question again,” she urged.